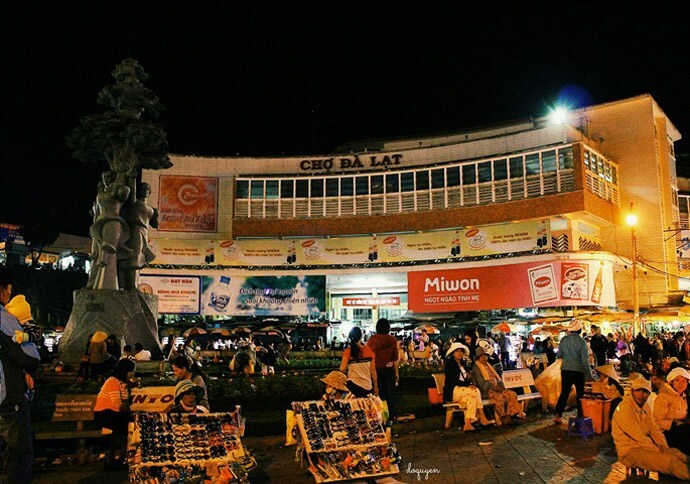 Home » Vietnam Travel » Da Lat City » Da Lat Nightlife – What To Do At Night In Da Lat? If you are looking for a change of pace and seeking for some escape from the heat of a busy city, then head up to Da Lat (Đà Lạt). Situated 300 km north of Saigon at the southern tip of central highlands, Da Lat is called as “Sapa of the South”, which is the entirely different world from other areas of Vietnam (Việt Nam). Because Da Lat is about 1.5km above the sea level, it has a unique climate in compared with other cities of Vietnam. This means local people here could cultivate the fresh veggies, amazing tea and coffee, and an incredibly variety of flora. Has long been known as a retreat for the nobility of Vietnam, Da Lat is the perfect choice for those people who are seeking natural beauty and relaxation. When arriving at this city, you will undoubtedly witness tandem bicycles, cozy couples, and young students all blending into the romantic and peaceful scenery. All of them give this town such a lovely air of old-school romance. Nevertheless, this peaceful town has plenty of activities for tourists to enjoy. Countless wonderful excursions can fill your travelling days, including visiting to some traditional local minority villages, riding bicycles through those nearby pine forests, and fiercely abseiling down the pristine waterfalls. When the twilight fades away, mysterious night falls over this city; the wind brings cold air up through the mountains and hills, at night, Da Lat becomes a different world than it is during the colorful day. 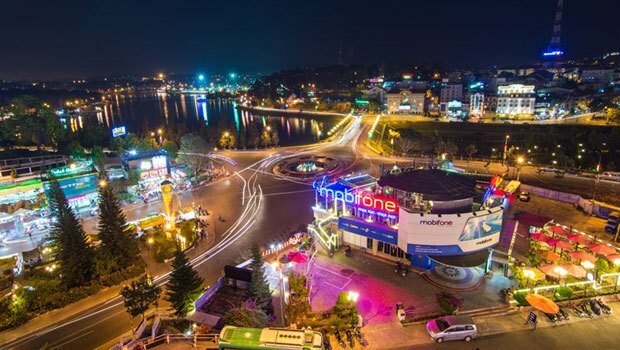 Da Lat boasts unique features which lure tourists at night: balmy, quiet, but vivid. At nights, Da Lat characterizes a slightly cold but romantic mist that covers the scenery. Da Lat nightlife is spectacular because the whole city becomes so active and is crowded with a lot of people. However, to be honest, Da Lat nightlife is not diversified, yet if tourists really want to enjoy Da Lat nightlife themselves, they could definitely find quite a few interesting sites at the more up-market venues. If you are looking for some suggestions for interesting Da Lat nightlife, you should read through this article at here. 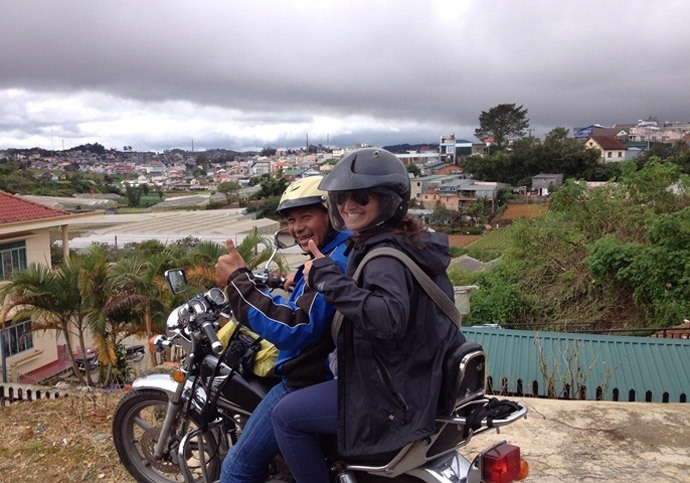 We introduce to you some interesting ideas for having fun, memorable nights in Da Lat. Located in the unusual place for such a coffee shop, 100 Roofs has an amazing design that impresses people from the first time of visiting. Located amongst small shop-houses and only about 100 meters from the Da Lat market, 100 Roofs café is a must try for all new comers, especially when it comes to ideas of Da Lat nightlife. Try out the locally brewed beer here. 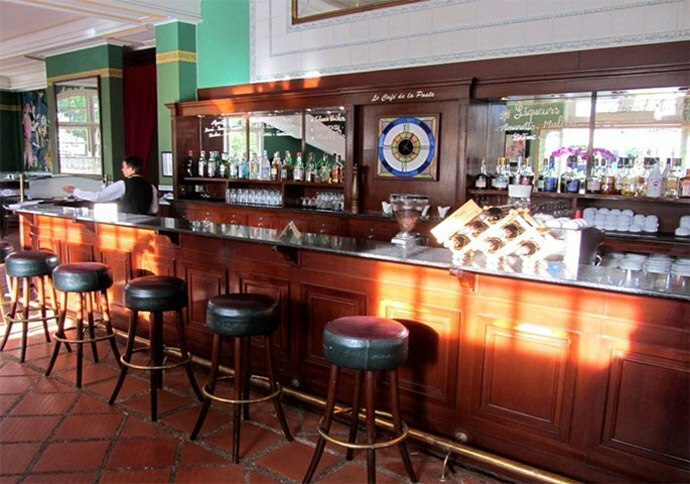 Situated across the road from the main post office of Da Lat, and being adjacent to the Sofitel, Café De La Poste is the ideal place for those who want to try fairly expensive French cuisine without having to break their bank. The building is designed in typical French style, meaning that it has a good selection of French wine. This place is popular for the menus of breakfast and lunch. 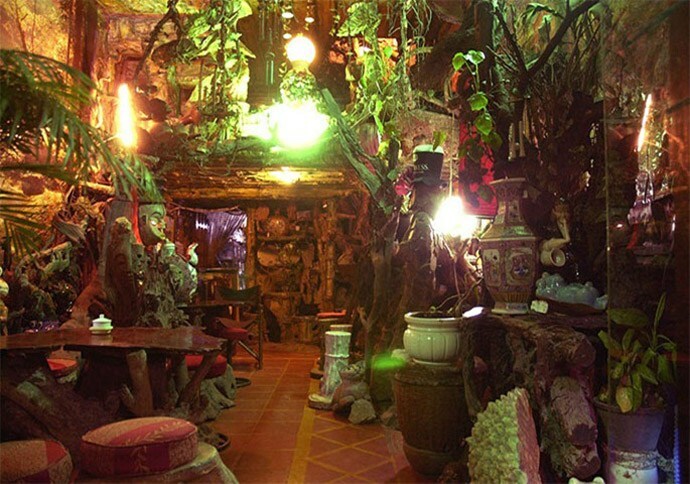 One of the legendary places of Da Lat nightlife is Larry’s Bar. 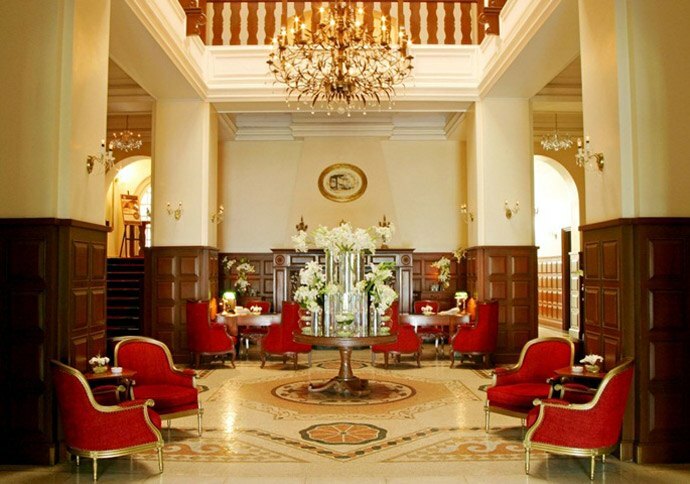 This is a part of the vintage Hotel Dalat Palace Hotel. The name itself was named after Larry Hillblom, an American billionaire businessman came and turned Da Lat into the up-market resort as it is now. This cozy bar has pool tables, widescreen TVs, games, and private corners, with a comprehensive menu covering western pub food, such as burgers, pizza, and more. 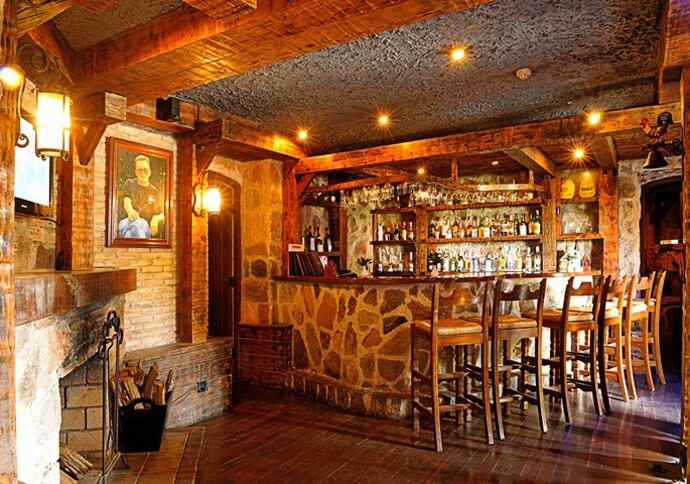 Le Rabelais Bar is situated on the lobby floor of the Dalat Palace Hotel and has a capacity of 20pax that allow guests to enjoy the intimacy with comfortable seating along with a fireplace. There sometimes is live music with a pianist or violinist. This is a cozy and friendly little bar, which is situated downtown and has been around much longer than other competitors. Having games and pool tables, this bar serves expensive cocktails and drinks. 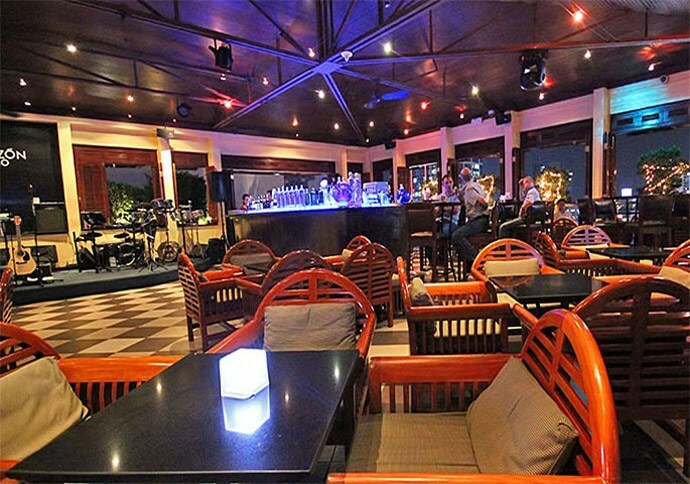 Among destinations to head straight for an interesting experience of Da Lat nightlife, V Café should not be skipped. 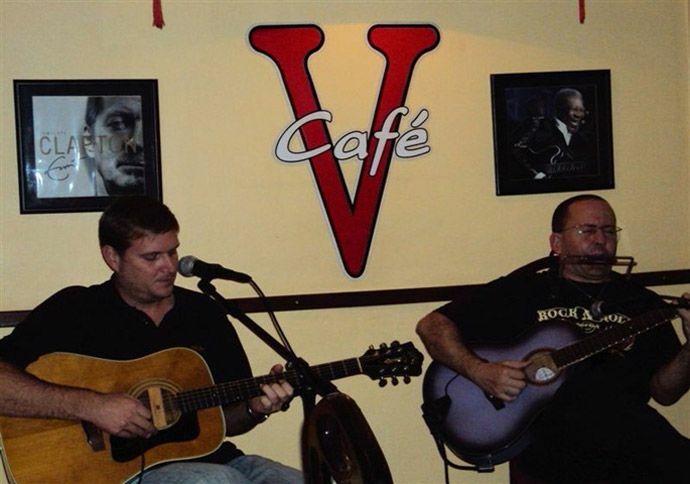 It is said that live music is limited in Da Lat, yet V Café might be an exception that offers live music for such a small resort town like Da Lat. It is a dinning café run by an American-Vietnamese couple. The live music regularly performed here makes this place a popular hangout for a lot of expats and tourists. Here, you can find both homemade Vietnamese dishes and Western foods like pizza, steaks, burgers, roast pork, soups, tacos, and lemon meringue. In addition, vegetarian dishes are available in this café shop. A pool table and free WiFi are served here. For Da Lat’s Easy Riders and backpackers, this is a popular hangout place, which features with a relaxed vibe along with a pool table. On the other hand, the owner of The Hangout, who can speak English fluently, is an excellent source that you can get to know some local information from.